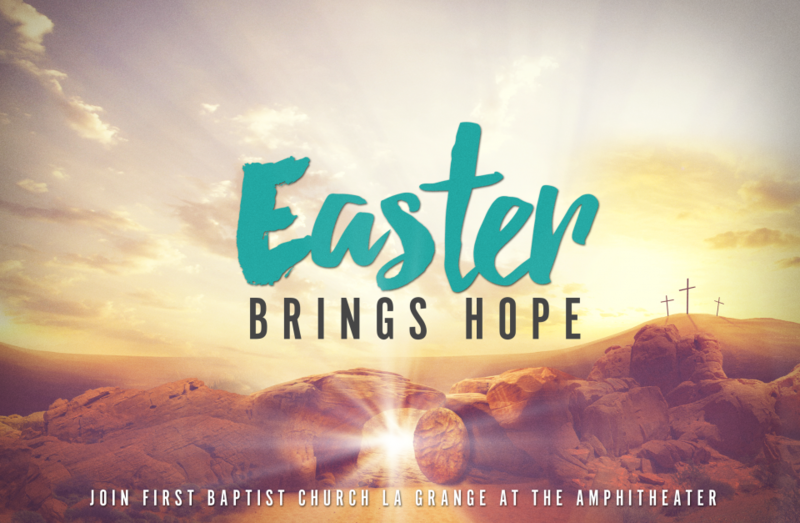 Easter Weekend is a special time at First Baptist Church La Grange and we want you to be a part of it! Join us as we celebrate the Resurrection with a message of hope and upbeat music at a beautiful amphitheater. Your whole family will leave with your hope renewed and your souls refreshed. Come celebrate Easter with us. Easter egg hunt for children immediately following.